Add delicious taste and crispy texture to every bite of your signature entrees with these bread crumbs! 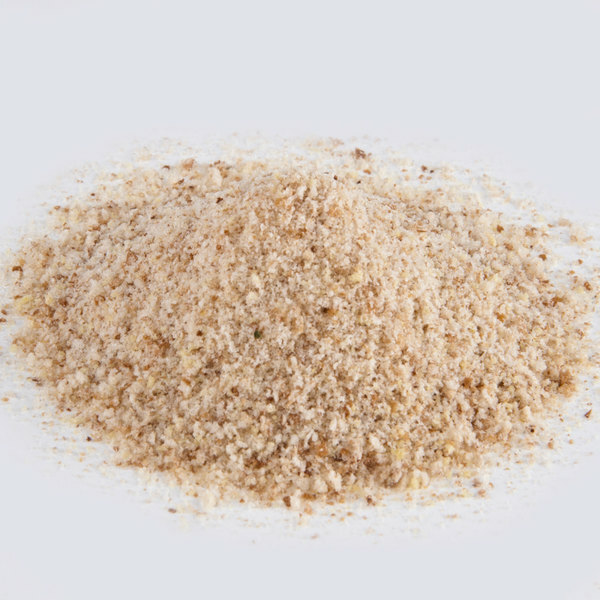 Save time making your own breading for poultry and meats, and use these dry bread crumbs that are already reduced to an ultra-fine consistency, ready for baking or frying. When frying foods, the bread crumb coating becomes exceptionally crispy and crunchy. Give your signature dishes a new, fresh flavor simply by adding these plain bread crumbs to the recipe! Cover baked chicken, pork chops, and more with this versatile breading. These bread crumbs deliver a slightly sweet, subtle flavor of toasted bread every time, but you can also add your own mix of spices to create a zesty, original breading. Not only great for breading foods, these bread crumbs can also be used for topping casseroles. Or, mix them with other ingredients for stuffed chicken breasts or stuffed mushrooms. Whichever way they're prepared, they're sure to add a new, satisfying taste and texture to your dishes! Good breading, but it gets a little too dark for me, we usually grind out own with old bread, if you don't mind it darker after you fry they you will be happy. 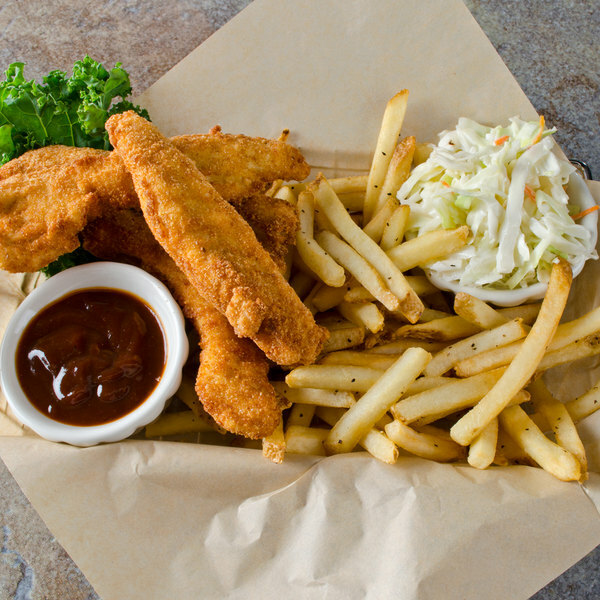 we fry a lot of chicken and fish products in all of our restaurants. this is nice to have. it tastes amazing and we use it a lot. I was able to put these to use as soon as I got them as I had 2 dishes with bread crumbs. I think these are as good a quality as any other I have used and the resealable bags are nice, although I will transfer to a larger storage container for quicker access once my current batch runs out. This five pound bag of plain bread crumbs is exactly as I had expected. The shelf life was impressive and the flavor was a little tastier than expected. I also appreciate the ability to add whatever house spice mix I wish for an enhanced customized flavor. I would order again and would recommend to anyone for commercial or residential use. I ordered these for the first time and they are great! They are finer than what you get in the grocery store and that has made a difference in my chicken salad. There isnt much to rave about with bread crumbs, although the price is unbeatable. They are great for coating chicken and other types of protein. It being plain also helps with customizing your own seasoning inside. These plain bread crumbs are very convenient to have around. They are good on their own but nake a great starting point to season up your own. Very good and consistent product. The price cannot be beat on this one! Love the bulk packaging deal. Packed in plastic that won't rip easly. These bread crumbs are a very inexpensive for the price. They taste good and have a long expiration date on them. I will have been using them for a couple years and been very satisfied. These bread crumbs are wonderful. Because I have so much, I have found ways to incorporate it in almost all of my recipe dishes, will order again and again. Great quality bread crumbs. This 5 lbs. bag costs about the same you would pay for 1 or 2 lbs. at the local store. A must have staple and has a resealable bag. 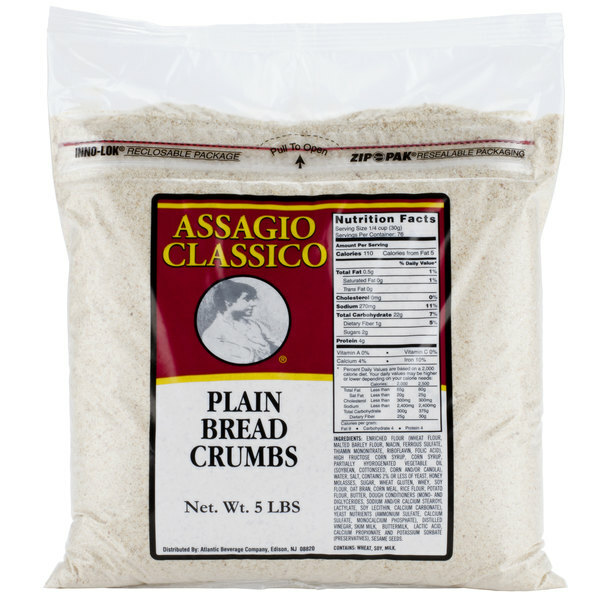 Plain Bread Crumbs - 5 lbs. This is a basic ingredient for my breading, and even casserole topping. It is even usable in crumb crusts for savory pies and coatings. The flavor is mild and a perfect base for adding your own spices and flavorings. These are excellent bread crumbs. Great quality, and lasts a very long time. Have very good flavor, add a few spices like i do and you can use them in anything. great price. Amazing bread crumbs! My grandfather has bought these before and would make delicious chicken breasts! 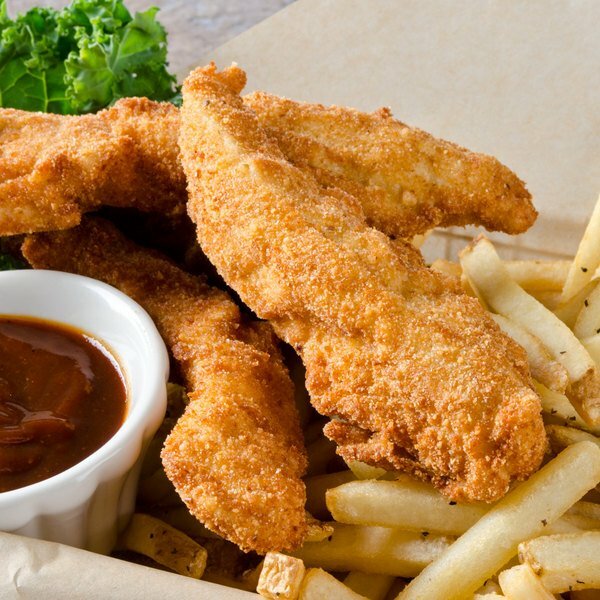 Has a unique flavor that adds to great flavor to any breaded dish!